NASA's Wide-field Infrared Survey Explorer, or WISE, back-end imager optics. 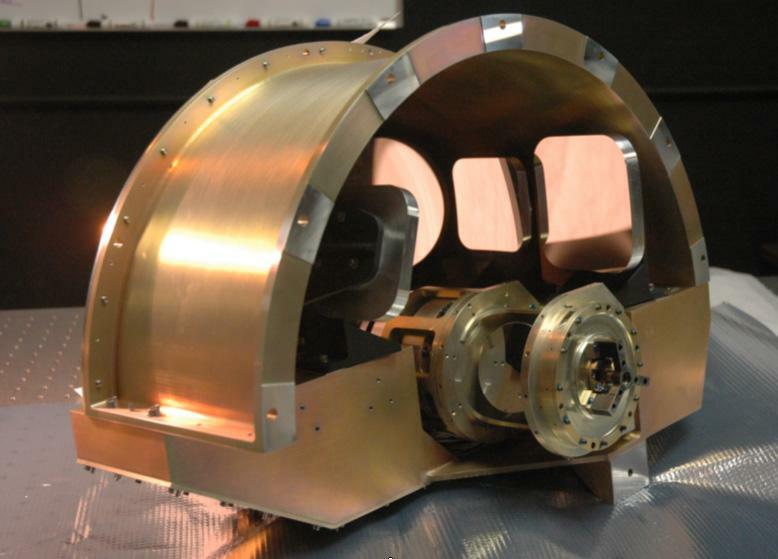 This picture shows the imager optics which are mounted at the back of the optical system. The mechanical system shown in front is the scan mirror that is used to freeze the star image, allowing for a longer exposure time. The imager then re-formats the star image from the scan mirror to fit correctly onto the detectors. 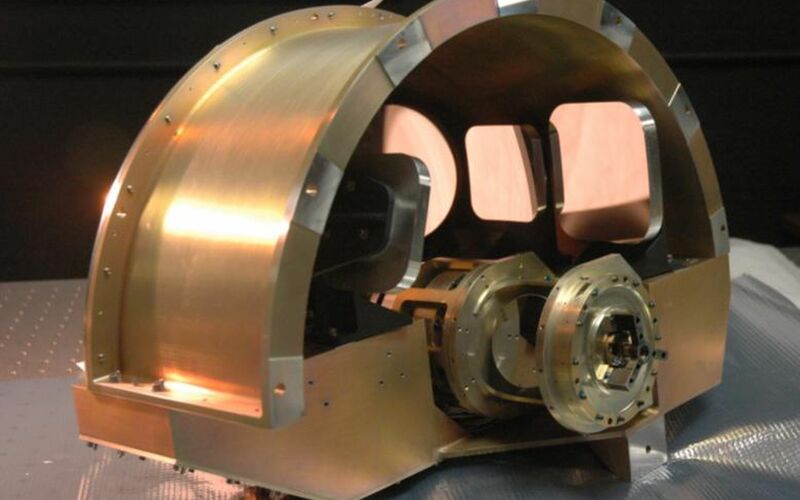 The imager mirrors have been gold coated and now have the golden hue typical of infrared optics.